With my youngest now in kindergarten, that means all of my kiddos are in school full time. Along with that, that also means an influx of germs. We are all really getting used to dealing with all of the colds, allergies and other sickness that comes along with having a houseful of kids in school! However, one good thing is that now dealing with sick little ones is going to be even easier, because now we have the Exergen Smart Glow TemporalScanner! First of all, I am a huge fan of Temporal thermometers. 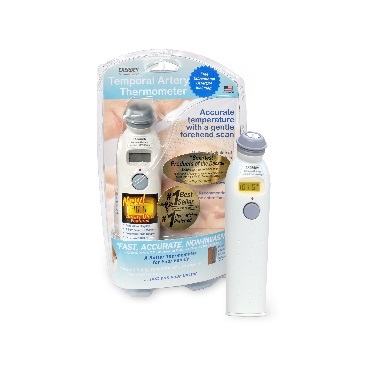 They are so much easier to use than other types of thermometers, and I can not believe that I lived so long without one! It's crazy how much one little invention can simplify your life! The ability to check your kid's temperature with a quick swipe across the forehead is just amazing to me. It's so simple to use, and it's incredibly accurate. Plus, what could be better than getting your child's temperature reading in around 2 seconds? For me, that is the worst part of taking a temperature, is the time it takes to read the temperature. The Soft Glow display provides a gentle backlight which makes it easy to check your child's temperature in any light. This is a great feature to have when you are checking a temperature in the middle of the night. 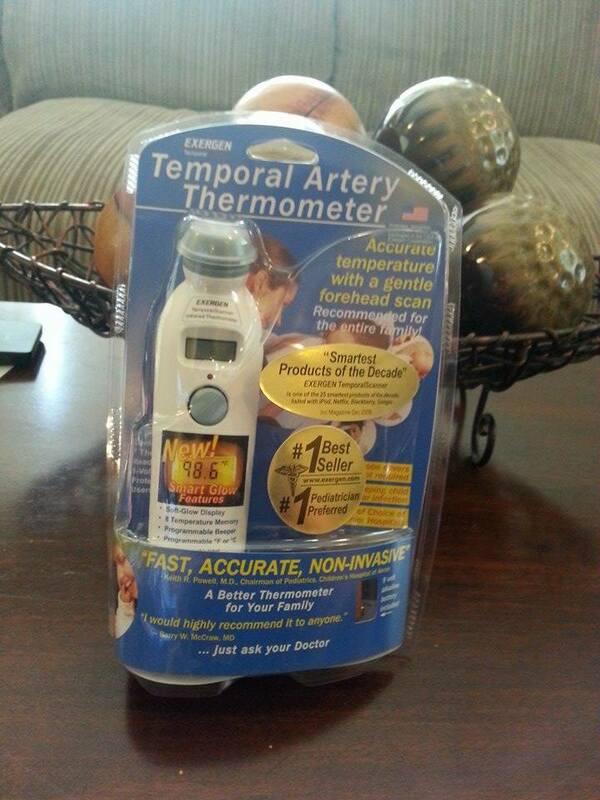 Another great feature of this thermometer is that the beeping sound that indicates scanning can be turned on or off. This could be very helpful if you have a sick, sleeping baby that you are trying not to disturb. Another really great feature of this thermometer is that it automatically holds the last eight temperature readings so that you can check the progression of a kid's fever. The Exergen Smart Glow TemporalScanner is really a great product and I am so glad that we had the chance to check it out. It is definitely going to come in handy for us this school year, while we are dealing with germs! Sold in major retailers including Wal-Mart, Target, Walgreens, Rite Aid, Costco, Babies “R” Us, Toys “R” Us, Kroger and BJ’s, the Smart Glow thermometer’s suggested retail price is $49.99. 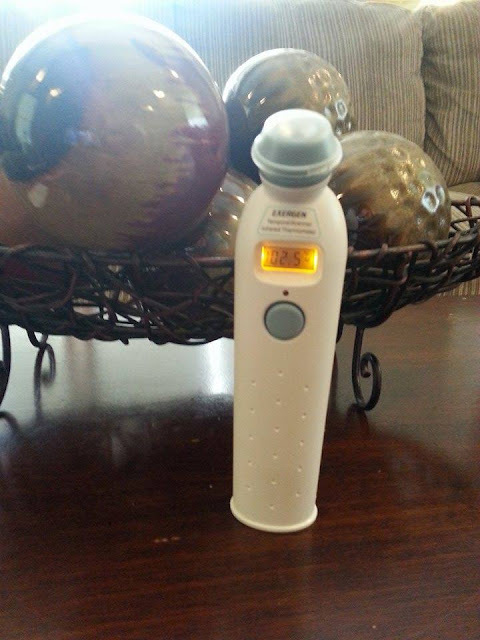 To see real moms testing the Smart Glow thermometer and demonstrating the new features visit www.exergensmartglowthermometer.com.